PAPUA New Guinea Olympic Committee president Sir John Dawanincura praised the efforts of everyone involved in the 15th Pacific Games for making the year the most memorable. Sir John’s comments were made in his report during PNGOC’s annual general assembly last Saturday at the Gateway Hotel in Port Moresby. 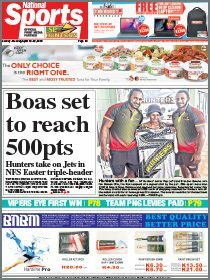 “The Pacific Games goes down in history as the most phenomenal sporting success we have enjoyed as a country, and Team PNG,” Dawanincura said. He acknowledged the bid committee and the presentation team, who were involved in putting the bid for the Games together and promoting PNG as a potential host for the event. He thanked the Government for its unprecedented support. 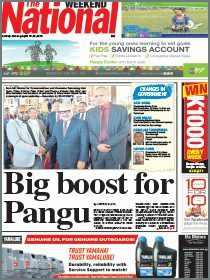 The 71-year-old took the opportunity to acknowledge PNGOC’s corporate partners and the PNG Sports Foundation for their support. Dawanincura’s remarks were echoed by secretary-general Auvita Rapilla. “I feel proud and privileged to have led the PNG Olympic Committee during this historic period. “It was through the joint endeavours of a myriad of people and organisations that the years of tireless effort and hard work resulted in a successful Games,” Rapilla said. Among the agenda presented was the adoption of a new constitution and the announcement of the organisation’s new strategic direction for 2016-2020. The new constitution requires member federations to be incorporated with voting rights following a transitional period of 18 months. The assembly saw the re-election of PNGOC executives which included Dawanincura retaining his position as president for a second term. All the other executives retained their positions on the board except for vice-president’s position, with Michael Henao being sworn in as the new member. Richard Kassman did not seek re-election to the position.